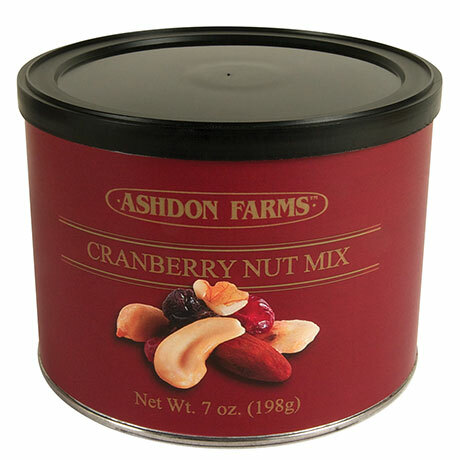 A blend of cranberries, raisins, peanuts, cashew halves, banana chips, almonds and walnuts. Pull-top can with resealable lid. 7 ounces. Peanuts, Almonds, Cashews, Walnuts, Coconut. ), cashews, walnuts, peanut oil and/or soy oil.